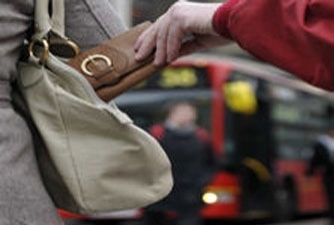 Even in a city as busy and crowded as London, incidents of mugging and pickpocketing are still quite low. Knowing how and where criminals who commit these crimes operate will help you avoid falling victim to them. In overcrowded areas, especially at rush hour. Be discreet with your belongings; displaying expensive jewellery or electronic devices, like mobile phones or cameras, could attract unwanted attention. Don’t make your mobile phone a moving target. Don’t tempt mobile phone thieves, be aware when making a call. Don’t leave your phone on tables in pubs or restaurants. When you leave a train or tube station don’t use your phone immediately, leave it a while. Don’t walk and text at the same time, you will be less aware of what is happening around you. Keep calls in public places as brief as possible, the longer you talk, the more likely you are to be spotted by a potential thief. Make sure your jewellery is not visible. Avoid dark or deserted areas late at night. Be aware of your surroundings and stay alert to what’s going on around you. There are several ways you can mark you property to help protect your personal items further.If you have any information on stolen goods, report it to the police by calling 101. If it is an emergency dial 999.